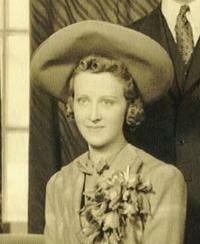 Margaret L. Madigan, nee McHugh, beloved wife of the late Harry P. Madigan; fond aunt of Thomas E. and Robert P. McAuliffe and the late John P. Archibald; great-aunt of many. Please omit flowers. Funeral Monday, Feb. 21, 9:30 a.m., to Ascension Church. Mass of the Resurrection 10 a.m. Interment Mount Carmel. Visitation at Smith Funeral Home, 245 Madison St., Oak Park, Sunday after 12 noon. [S2742] 1930 US Census, Illinois, Cook County, Chicago, Washington, DC, ED 2669, page 7B, Accessed Ancestry.com, January 2, 2010. [S416] Interview, Helen McIntyre, February 20, 2005. [S417] Chicago Tribune, online, Record Number: 19720220dn089. [S1768] Patricia Morales Tijerino, "Re: A descendant of Patrick McIntyre in El Salvadore...," e-mail to Elaine McIntyre Beaudoin, July 15, 2013, Patricia states her grandmother, Elena, spelt her last name McIntire. [S945] Facebook, online www.facebook.com, Message from Marina McIntyre-Steffan including a Elena's Memorial Pamphlet, June 10, 2012. Note*: He Anthony was in San Salvador when it was hit by an earthquake and volcano eruption. [S1238] Florida Death Index, 1877-1998, online ancestry.com, Anthony Patrick McIntyre. [S1622] The 1917 eruption of San Salvador volcano, online http://www.volcanodiscovery.com/san-salvador/…, Accessed online, June 24, 2012. [S1625] 1930 US Census, California, Tulare County, Tipton, Washington, DC, ED 61, page 2B, Ancestry.com, accessed June 25, 2012. [S1765] 1940 U.S. Census, Washington, DC, ED 12-11, page 64B, Ancestry.com, accessed July 6, 2013. [S2717] Richard Martin McIntyre, "Family Information," e-mail to Elaine Beaudoin, October 9, 2018. [S309] US Social Security Death Index, 1935-Current, Ancestry.com, Anthony McIntyre, 561-03-7520. Psgr List: He was found on a passenger list on 10 February 1917 at San Francisco, San Francisco County, California, The ship had departed from Acajutla, El Salvador, date unknown. Pass App*: He was requesting a passport so he could bring his family from San Salvador to the US due to the June 6, 1917 earthquake that devastated San Salvador. The enclosed letter from my daughter written the day after the city of San Salvador had been destroyed by earthquake indicates the necessity of my immediate return to Salvador to take my family here. As no english is spoken in San Salvador, we here been accostomed (sic) to use the spanish language. Please return letter with passport. Parcel 2 - Beginning at a point on the northerly line of Green Street distant thereon 62 feet 6 inches easterly from the easterly line of Polk Street; running thence easterly along said line of Green Street 25 feet; thence at a right angle northerly 85 feet; thence southwesterly 29.356 feet more or less to a point which is distant northerly 70 feet from the northerly line of Green Street measured along a line drawn at right angle thereto from the point of beginning; thence southerly along said line so drawn 70 feet to the point of beginning. Being a portion of Western Addition Block No. 24. We were already at the time of printing press when we received the sad news of the decease in this capital city of Don Bartolo McIntire, a North American who lived in El Salvador, and who was linked to various honorable households in the country, and who are today in mourning. The life journey of this foreigner was well accomplished, a man who seemed to have come to show our youth, by eloquent example, how to make use of time in a practical manner, how personal energy stamped with constant work translates into material assets that provide spiritual satisfaction; with what means an unknown man opens roads and makes a way, dominating the environment and earning respect and consideration. That is how, don Bartolo, who first and foremost was a man in a way that the honorable concept of being a man signifies, it can be said that he said farewell to life peacefully, because he knew how to fill every minute of his existence with intense and rewarding labor. He was, here, the organizer of Taller Mercedes (Iron Workshop). In California he had his leg cut; and he, who was an excellent mechanic, built an artificial limb for himself that was so perfect, that the defect was hardly noticed. He fathered a numerous family, and leaves them with the memory of a clean and respected name. We send our expressions of condolence to the family of the estimable deceased. [S1840] Bartolo McIntire Probate file No. 41592 (Death), Report Accompanying First and Final Account and Petition for Final Settlement and Final Distribution, July 30, 1926. [S369] Baptismal Registry, Toulestrane, Kilmacteigue Parish, Co. Sligo: Bartholomew McIntyre entry., St. Attracta Church. [S369] Baptismal Registry, Toulestrane, Kilmacteigue Parish, Co. Sligo: Bartolomew McIntyre entry. Family History Library, MF 0926015, accessed November 20, 2000., St. Attracta Church. [S1615] Bartley McIntyre, Peru Passenger manifest, February 10 1917, Ancestry.com, accessed June 22, 2012, M1412, roll 12. [S1610] Marina McIntyre-Steffan, "Grüße," e-mail to Elaine McIntyre Beaudoin, June 22, 2012. [S1841] Bartolo McIntire Grave marker, El Cementerio General de San Salvador Cemetery, San Salvador, El Salvador. [S1840] Bartolo McIntire Probate file No. 41592 (Death), Order Admitting Will to Probate, filed August 26, 1925. [S1821] California Genealogical Soceity & Library, San Francisco Probate 1906-1942, Bartolo McIntire entry. Viewed at Allen County Public Library, August 23, 2013. [S1840] Bartolo McIntire Probate file No. 41592 (Death), Authenticated copy of Will filed April 30, 1925. [S945] Facebook, online www.facebook.com, Message from Marina McIntyre, June 21, 2012. Death*: He died on 13 January 1935 at Central Emergency Hospital, San Francisco, San Francisco County, California, USA, at age 44. Bartolo is listed in the 1930 US Censu and then Angelina is reported as a widow in the 1940 US Census. In Roberto Morales McIntire's 2011 memories, he notes "Bartley took his own life in San Francisco. He entered a tunnel on foot and when the street car approached, he threw himself at it and was run over. He lived in San Francisco." Bartolo is not listed in the California Death Index 1905-1939. I was unable to locate an obituary in the San Francisco Chronicle during January, 1935. [S1932] City Directories, 1821-1989, San Francisco, 1928, page 1002, accessed July 24, 2014. [S1814] Colma Cemetery Index, online http://www.sfgenealogy.com/php/cemetery/cemeteryindex.php, Bartholo McIntyre entry, accessed August 16, 2013. (informant) Death: Barclay J. McIntyre was an informant on the death certificate of Bartholomew McIntyre on 13 January 1935 at Central Emergency Hospital, San Francisco, San Francisco County, California, USA, at age 44; Bartolo is listed in the 1930 US Censu and then Angelina is reported as a widow in the 1940 US Census. [S411] California Death Index, online Ancestry.com, Barclay J McIntyre entry, mother's maiden name Uriarte, Ancestry.com, accessed August 15, 2013. [S1814] Colma Cemetery Index, online http://www.sfgenealogy.com/php/cemetery/cemeteryindex.php, Barclay J. McIntyre entry, accessed August 16, 2013. Death*: Blanche died on 15 November 1978 at Sherman Oaks, Los Angeles County, California, USA, at age 64. McIntyre, Blanche Elliott, sister of Rev. Thomas J. McIntyre of Miraculous Medal Parish, Montebello, Mrs. William (Pat) Campbell, Frank McIntyre of Chicago, Ill and Mrs. Mary Garrity. Funeral Mass 8 p.m., Sunday November 19 at Miraculous Medal Church. Interment in Resurrection Cemetery, 10:30 a.m., Monday, November 20. Velga-Robinson-Beverly directors. [S575] Blanche Catherine McIntyre, Illinois birth certificate no. 14482, Family History Library, Salt Lake City, Utah, MF#1288321 (April 21, 1914). [S987] Blanche Elliott v. Robert Elliott, Divorce Records, Cook County Archives, Chicago, file no. 40C-10530 (1941): Certificate of Evidence, Archives of the Clerk of the Circuit Court of Cook County. [S181] Blance Catherine McIntyre, California Death Index. [S1358] Los Angeles Times, November 19, 1978, page B6, ProQuest Historical Newspapers, Los Angeles Times (1923-Current File), accessed February 2011. [S883] Blanche McIntyre Elliott Memorial Card, November 15, 1978 Elaine McIntyre Beaudoin, personal files. [S2329] Kilmacteigue Parish, Co. Sligo, Ireland, "Kilmacteigue Parish Records," Baptimal Entry, Register B6, page 45, entry 45, (Transcribed by the Sligo Heritage Center), Bridget McIntyre. [S1751] 1911 Irish Census, County Sligo, Kilmactigue Civil Parish,Tobbercurry, Lislea Townland, Dublin, 68/7, line 8. [S1415] Marriage Register: entry for Patrick Haran and Bridget McIntyre, September 3, 1911 Public Record Office, Dublin City, County Dublin, Ireland. [S2024] Select Catholic Marriage Registers: Celtic Catholic Registers. Digitized images. Dublin, Ireland: E-Celtic, Limited; accessed March 20, 2015, Ancestry.com. [S2735] Bridget McIntyre Haran, Aclare, Tobercurry, County Sligo death registration, Accessed January 7, 2019 on Irishgenealogy.ie. [S2340] Kilmacteigue Parish, Co. Sligo, Ireland, "Kilmacteigue Parish Records," Baptismal entry, Register B5, page 219, entry 1752, (Transcribed by the Sligo Heritage Center), Catherine McIntyre. Death*: She died on 1 May 1914 at The Dalles, Wasco County, Oregon, at age 53. 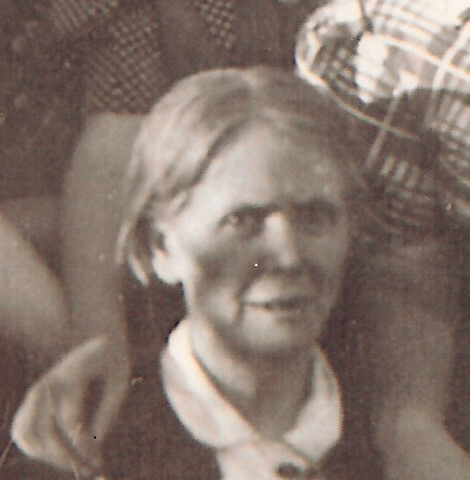 Mrs. Kate Kreft (nee McIntyre) was born in county Sligo, Ireland on March 17, 1862. While she was still a baby her parents emigrated to America, arriving in San Francisco early in 1864. In 1877 Miss McIntyre was married in San Francisco to Paul L. Kreft. Of eight children, the issue of this union, four survive their mother. They are Mrs. Henrietta Burchtorf and Mrs. William Wells of this city, Mrs. James Keane of Portland and Paul L. Kreft of Pendleton. Mr & Mrs. Kreft came to Oregon in the year 1879, residing for a short time on a ranch, the property of the McIntyre family. In 1880 they came to The Dalles where Mr. Kreft engaged in business until a serious illness forced him to retire. He lingered on in an invalid condition for over a year, and passed away on July 23, 1900. Of Mrs. Kreft's faithfulness and loyalty as a wife and mother; her devotion to Mr. Kreft during his last illness when for many months she never left his bedside; of the energy and industry she displayed in providing and caring for her family, it is needless to write, as all the persons concerned are well acquainted with the facts. It is chiefly an account of her indomitable courage, patience and cheerfulness in the face of veritable mountains of sorrows and misfortune that her memory will be cherished by her numerous friends and acquaintances. This is not the place in which to recount the many vicissitudes through which Mrs. Kreft and her family passed. Suffice it to say that seldom does it fall to the lot of one mother or one family to be visited as they were. But, through all, Mrs. Kreft maintained a brave and cheery disposition, with which was combined Christian charity, and a generosity that was almost a fault - every ready to nurse the sick, aid the needy, console the unfortunate. Surely, if charity be the greatest virtue, this sweet and noble soul has earned and received the welcome greeting of its maker - "Well done, thou good and faithful servant; enter into the joy of thy Lord." [S2131] Dolly Purcell - LarryDolly727, "Kreft Family Tree, Ancestry.com", Pedigree View. [S1864] Basel/Tozzi Family Tree, "Paul L. F. Kreft Family Group Sheet", Printed from online genealogy database. Owner: karolbasel. [S1908] Kate McIntyre Kreft, obituary, May 1914 Elaine McIntyre Beaudoin, personal files, Typerd obituary provided by Dolly Purcell, May 4, 2014. [S1911] The Dalles Daily Chronicle, July 24, 1900, Obituary received from Dolly Purcell, via email May 4, 2014. [S1504] April 19 1910 US Census, Oregon, Wasco County, Dalles City, Washington, DC, ED 304, sheet 4B, Family History Library, MF# 1375303, accessed April 6, 2004. [S411] California Death Index, online Ancestry.com, Ancestry.com, accessed April 4, 2004; Kate Kreft entry, cert #1468. [S1907] Kate Kreft, Oregon, Multnomah County, Certificate of Death, Copy provided by Dolly Purcell, May 4, 2014. [S1676] Find A Grave, online http://findagrave.com, Catherine Ann "Kate" McIntyre Kreft grave, information created by Dolly Purcell, added December 1, 2009; accessed: October 2, 2013.